Mothers frequnetly become depressed. And for a rare few it leads to homicidal depression. According to an August 2007 article, “The Sad State of Unhappy Mothers in America,” by Kathy Murdock, on the web site AllBusiness.com, there are more than 82 million mothers in America, and almost half are unhappy. Close to one fourth are clinically depressed. Jocelyn Noveck’s April 16, 2011 article on Huffington Post Health, mothers murder at least 100 children a year. Keeping and finding accurate records is impossible, however, because many cases probably go undetected and therefore unreported; the young mothers who kill their newborns by smothering them or drowning them will forever lock that dark secret inside them. “Well,” you might say, “these women are clearly psychotic.” Michelle Oberman, co-author of the 2001 book, Mothers Who Kill Their Children: Understanding the Acts of Moms from Susan Smith to the “Prom Mom,” agrees that some women are seriously ill, but that certainly is not the case across the board. “Sometimes depression is enough to send a woman over the edge,” she says. Oberman, along with her co-author, Cheryl Meyer, interviewed women at the Ohio Reformatory for Women. Out of 1800 inmates, 80 had murdered at least one of their children. The two authors found no neat patterns and no boundaries of race, class or financial status. They came to the conclusion that isolation – a lack of emotional support – linked these women as did an impending divorce or nasty break-up with the father of the children. Meyer says that since she has been doing research on this subject, many “normal” women have approached her with their stories of the times they almost killed their children. 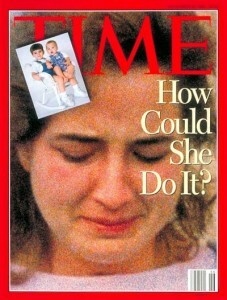 The recounting ranged from moments of intense frustration in which the mother was able to regain control and not harm her offspring, to the dangerous precipice where a mother was in the act of killing her child when an unexpected intervention by a third party stopped her.. “The reality,” says Meyer, “is the mother who kills her child is every mother, any mother.” (WeNews women’s enews.org, June 27, 2001). Altruism “refers to a parent who kills a child to relieve the suffering of the child.” The parent might be depressed and not want to leave their child behind in a terrible world. 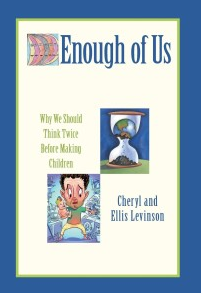 An unwanted child relates to a parent who believes the child hinders her from fulfilling her goals. Child maltreatment, which refers to an abusive parent who accidentally kills the child by going too far with abuse. Spousal revenge is the rarest form of the murder of a child by the parent. It’s also called the Medea Syndrome after the Greek myth of Medea, who kills her sons to get back at her unfaithful husband. Researchers Oberman and Meyer would probably include postpartum depression as one of the reasons for infanticide, especially following the isolation many experience after birth. Adding to the problem of after-birth depression, is that complaints of women in this category are frequently dismissed by doctors, family and friends. An impressive December 2005 blog written by freelance writer, Kelly Banaski Sons, hits two nails right on the head. She believes that the number of mothers who kill their offspring will “continue to grow each year until societal norms maintain that this is not rare behavior.” The second nail is profound. “Mother love is not universal. All women are not natural loving mothers.” Bingo! There is no reliable way to know how many mothers come close to killing their infants. But just considering the dark possibilities is deeply disheartening. If, as a culture, we could briefly refrain from encouraging every woman and couple to make children – and if family and friends would stay alert to danger signs, especially when parents are clearly having trouble parenting their young – many of these tragic murders would never occur. If our culture could encourage women to think twice about whether they have the temperament to raise children, many of the most innocent would not be born into murderous environments before they have a chance at life. Every time I hear about this sort of tragedy I cringe. Perhaps an early education on parenting and the possibility of this sort of psychosis would help families recognize the symptoms and get help for the mother. This is not just a problem with the mothers–whole communities need to better understand what’s going on. According to Homicide Trends in the United States by the Bureau of Justice Statistics, in USA TODAY, February 7th, 2000: “In 1998, 652 children younger than 5 were the victims of homicide. Committing the crime: Parent 56%; Other Relative 4%; Friend, Acquaintance 27%; Unknown 12%; Stranger 1%.” That means that 87% of these kids were murdered by family and “friends,” and 1% by strangers! If more people thought more about making more people, there’d be fewer people on this overpopulated planet, and fewer unwanted, unplanned, unloved children. Good article. In the U.S., we are likely to see much more of this instead of less given the way reproductive choices are dwindling. . The constant noise, screaming, screeching, crying and odors and mess is enough to drive anyone insane. I am surprised that there are not more murders to be honest with you. If you don’t want children, don’t have them. Small children are selfish loud and annonying….not everyone can put up with that and some people just snap under the constant crap. I think that this phenomenon may not be all that frequent, even if the statistics miss some cases. This seems to me like a societal problem and partly due to the fact that we often live so far from supportive family members and friends. When my daughter was born, I had long visits from my mother and mother-in-law, who were very kind and helpful, despite a few odd principles they espoused. Too many people are isolated, and mothers need the sane companionship of adults.